RAG Week is a whole week of events dedicated to raising and giving for good causes. This year YUSU RAG are fundraising for York-based charity, IDAS (Independent Sexual Abuse Services), and national charity, Action for Children, which helps disadvantaged children and young adults across the UK. All proceeds from RAG Week will be split equally between these fantastic charities. 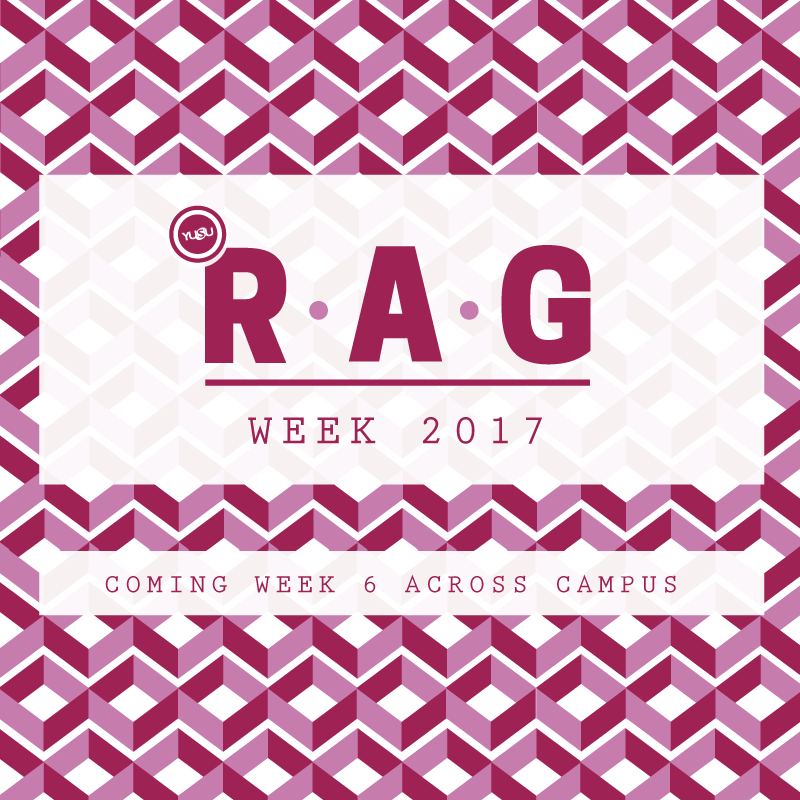 RAG Week 2017 will be taking place in week 6, from Monday 30th October 2017 until Sunday 5th November 2017. Look out for an action packed week from Blind Date, to Glasshouse Takeover, to Darts Battle of Yorkshire, to RAG raids and much more! We're also looking for RAGlets, student volunteers who would like to help out with stewarding events and bucket collections across the week. If you're looking for fantastic fundraising experience and free entry into all of the events, get in touch with your YUSU RAG Committee to find out more.